These days, I introduced in the blog that the Sabae city in Fukui Prefectureis famous for its glasses industry. Each pair of glasses is carefully made by the craftsmen. When I saw the complex manufacturing process for the first time, I felt that the craftsmanship of Japan and the pursuit of making best things are the driving forces that make “the glasses of Sabae” an international brand. And this time, I’m going to introduce some interesting accessoriesdesigned by Sabae’s people with their passion for glasses. 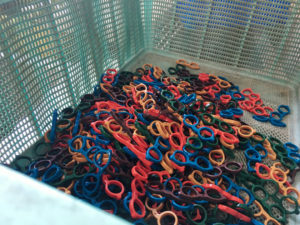 As I mentioned in the previous blog, acetate fiber――one of the main materials of glasses frame is the leading role of this story. 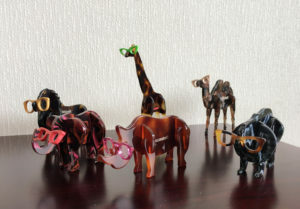 Acetate fiber is rich in patterns, which can be as attractive as tortoise or shiny like the metal. Furthermore, by pressing the acetate fiberboard with different colors and patterns at high temperature, the new patterns and different original products can be created. 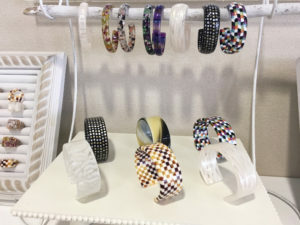 Rings, bracelets and earrings made of acetate fiber by using its fabulous luster are exquisite and fashionable. They can be cute and adorable for young people, and also emit a mature flavor. After enjoying so many kinds of accessories, I was most impressed by the watches, which was made by the brand called “IGATTA COLLETTI”. 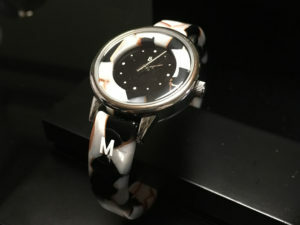 This series of watches are boutiques that combined the 1,500-year-old “Echizen Lacquerware” of Fukui Prefecture and the world-class “Sabae Glasses”. Each one was so beautiful and comfortable to wear. The watches are undeniably the “modern traditional handicraft” born from the combination of Japanese tradition and modern materials and technology. See, besides glasses, Sabae has a lot of creative products, which deserves to represent Japan to be the “Manufacturing city”! 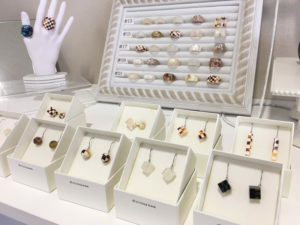 In order to let you have close contact with the products that blend the technology and imagination of Sabae’s people, Hitotsuya is now making great efforts to build a stylish shop!